More Apps, More Problems in your Windows, this time called – err_spdy_protocol_error. This error is exclusive to Google Chrome browser and is not related to Windows. When this error occurs, you will notice that some particular sites all related to HTTPS (like google, youtube or reddit, etc) will not open. However, don’t worry we will crack this enigma. Before you dwell in the solution any further first, check with other browsers like Firefox, Internet Explorer, Edge, etc, if you could access these sites using other browsers then we are sure that problem lies with Chrome. We are not advising to quit using Chrome browser, its one of the best browser if not the best. But what makes it better is the synchronization feature that is your android browser and windows browser work in coordination to make the user experience supreme, all thanks to google. Now let us look at what and how this error is caused and further down the road we will also contemplate on various solutions for this issue. 1 What & How ERR_SPDY_PROTOCOL_ERROR is caused? What & How ERR_SPDY_PROTOCOL_ERROR is caused? Chrome introduced spdy_protocol which as the name suggest speeds up browsing and enhances the experience for the user. Spdy_protocol uses multiple connections over a single HTTP session, thus loading faster as compared to a single connection. The err_spdy_protocol_error occurs when there is a clash between files transferred over multiple connections or some data during transfer gets corrupted. The Chrome browser cannot handle this mismatch if data and shows error, other browsers use the different way (protocol) to speed up page loading and can encounter an error (it means Firefox also encounter an error like Spdy and so does other browsers). A. Outdated chrome browser: Rumour has it that Chrome is stopped using Spdy_protocol and replaced it with another protocol, now that can be causing the error, so you need to update it ASAP. B. Antivirus blocking: Your Antivirus/ Firewall settings could be responsible for this error. Antivirus software provides web protection by scanning websites and sometimes, older certificates or due to some other cause it blocks HTTPS websites. Thus, you are unable to visit these websites. You might encounter the errors like- net::err_spdy_protocol_error, err_spdy_protocol_error cloudflare, err_spdy_protocol_error nginx, etc. The bottom line is if the error in question has this part – err_spdy_protocol_error, then you are reading the right guide for solving your issue. Solutions are mentioned below, please follow them in order. To resolve most browser-based issues, the most recommended way to start is clearing Caches and Cookies, this will not only free up memory but also deletes corrupted files and other security vulnerable files. This method has three parts, the first part deals with clearing temporary system files, the second part actually clears caches and cookies and finally, we would look into a tool provided by Google to scan and fix all the issues and also clear any leftover unwanted files. So, let us proceed. Clearing temporary system files: This step will clear temporary files generated by all the applications in windows; don’t worry temp files are useless and hack up memory. 1. Press “Windows + R” key, Run dialog box will appear. 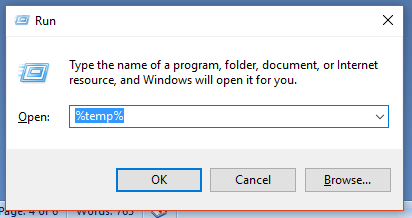 Enter ” %temp% ” and click on OK to view system files. 2. A new window will appear showing a buttload of files. Select all files either through the mouse or simply, press “ Ctrl + A“. Then, press “Shift + Delete” to delete all the temporary files permanently. Now, proceed to the next part. Clearing cookies and caches: For this step, first open Chrome browser. Now, the simplest way to open chrome settings and then to clear browsing data including caches and cookies is to press “Ctrl + Shift + Delete” while chrome window is opened, it will open the required setting page. 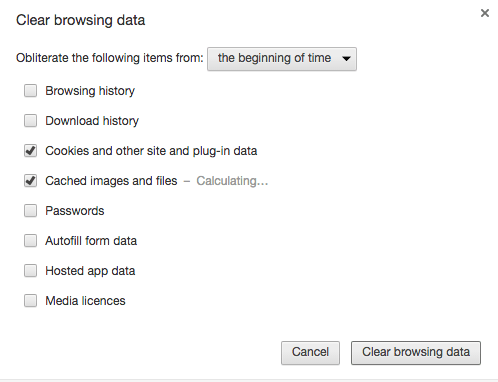 Ensure that Cache and Cookies are marked and then click on ‘Clear Data‘. Congratulations! you are almost finished. Finally, let’s look at the help provided by Google, Click here! it will take you to chrome support page, follow the simple instructions mentioned there and then check if the spdy_error is resolved. If not, proceed to the next method. 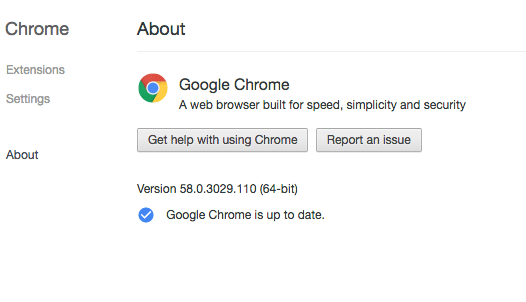 Chrome updates automatically, there is no manual update option. Check if your Chrome browser is up to date by clicking on “More (three vertical dots on the top right corner)” then select ” Help ” and finally on “About Chrome“. A new tab will be opened displaying the current version of chrome and also with update status. Click here! for more support from Google on Chrome update. Also, in the worst case scenario, you can always re-install the updated version of Chrome, but backup your bookmarks and other personal settings before uninstalling the current one! DNS( Domain Name Server) caches are files that are generated when you visit any website its name and other information regarding website get stored in a cache file. Due to some reason, these files may get corrupted and result in an error. Also, it is always a good idea to renew IP address when flushing DNS caches. To accomplish this task we will use the Command Prompt in elevated mode. 1. 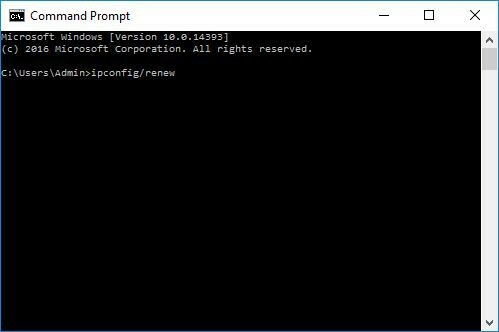 Open Command Prompt in administrator mode by right-clicking on the Start button or search for the same then right click on the result and select open as administrator. 2. A command prompt window will appear. 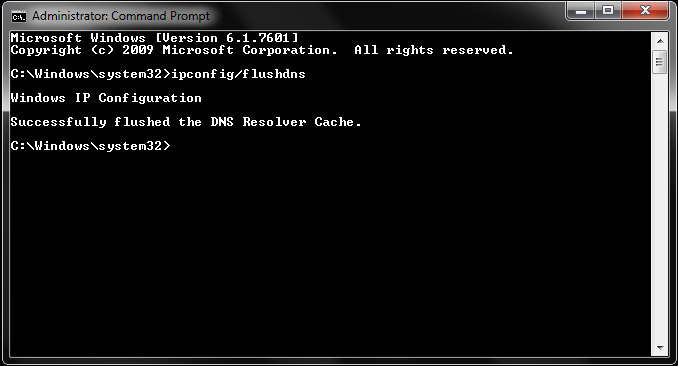 Type ” ipconfig /flushdns ” and press Enter to delete DNS cache files. 3. Type ” ipconfig /release ” and press Enter then finally, type ” ipconfig /renew ” and hit Enter to renew IP address associated with your system. Check if the error is resolved. In this method, we will flush SPDY sockets in Chrome using a nerdy tool already present in the browser named net-internals. Just copy and paste this URL in new tab in chrome ” chrome://net-internals/#events&q=type:SPDY_SESSION%20is:activ ” and hit Enter. Wait for a few seconds for the files to show up in net-internals. Even if no files appear, locate arrow sign on the top-right corner and click on it. A menu will appear, click on ” Flush Sockets“. Now investigate if speedy_error was resolved or not. This method can be very specific to the antivirus software. Avast has different settings as compared to Mc Afree or Bit Defender, so it would be very cumbersome to provide steps for every antivirus software. The general idea is to open the antivirus panel and look for terms HTTPS, Web protection, Exclusion, Online or Internet. Check the option under these words to uncheck or vice versa. Hopefully, by now those websites should be working in Chrome. Hopefully, the err_spdy_protocol_error would be resolved by now. You may also have learned today a thing or two about Google Chrome, Kudos! The issue is primarily caused due to network malfunction, but the good news is Google has resolved this error in their latest update. if your issue is still unresolved, report it to Google and Microsoft, most likely please share in the comment section. Web browsers still have a huge room to evolve and for every error you encounter, you will most definitely find solutions here at Windowsfish.com! Always happy to help.